The 8-pound amplifier packs 200 watts of power, and is the world’s first analog amp to feature a power amp sagging control. 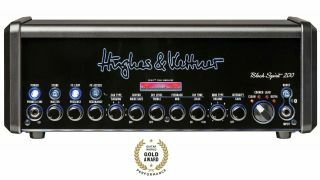 Theera1 may be the first acoustic guitar amp offered by Hughes & Kettner, but it comes with 25 years of acoustic amp design experience behind it. Hughes & Kettner’s bestselling TubeMeister lunchbox amp family has been strengthened by the addition of two wild new bigger brothers: the TubeMeister Deluxe 20 and the TubeMeister Deluxe 40. In the following video, Guitar World's Paul Riario checks out the new Tubemeister 5 combo and head from Hughes and Kettner. In the following videos, Guitar World's Paul Riario reviews the Tubemeister 18 head from Hughes & Kettner.